In the ever-changing world of fashion, it is always a good idea to stand out from the crowd with something unique and different. With the mass produced modern jewellery that is sold in major quantities, antique jewellery has now become somewhat of a fashion trend. It creates an individual statement and is fun to collect. Unique pieces can bring any outfit back to life and can be bought quite easily at flea markets, garage sales and car boot sales. They can also be found at online auctions for reasonable prices, depending on the piece. There is a wide selection available, from statement pieces to more classical items, such as pearls or vintage silver jewellery. 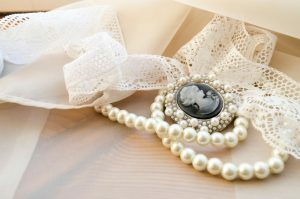 six important eras to know for vintage jewellery are the Georgian Era, Victorian Era, Art Nouveau, Edwardian Era, Art Deco and Retro. With TV shows, such as Downton Abbey, the interest in vintage items has increased in popularity and brought Art Deco and Retro items back into the light. Regardless of personal preferences, you can find a huge variety of lovely pieces for sale online. If you are looking for pieces to invest in, rather than an item for a Friday night on the town, one of the more established auction houses might be the best bet. Not only can you always be sure of buying quality items this way, but you can learn something about the origin of the item. For some pieces, the history is actually more important than the item itself and dictates the value. The history of an object, or the provenance as it is called, may add more value to an item. In some cases, it may be the only thing that adds value to the object. If you are interested in the history of items that you are looking to buy, then check out online auctions like barnebys. They are renowned in the world of online auctions for their antique items and jewellery. 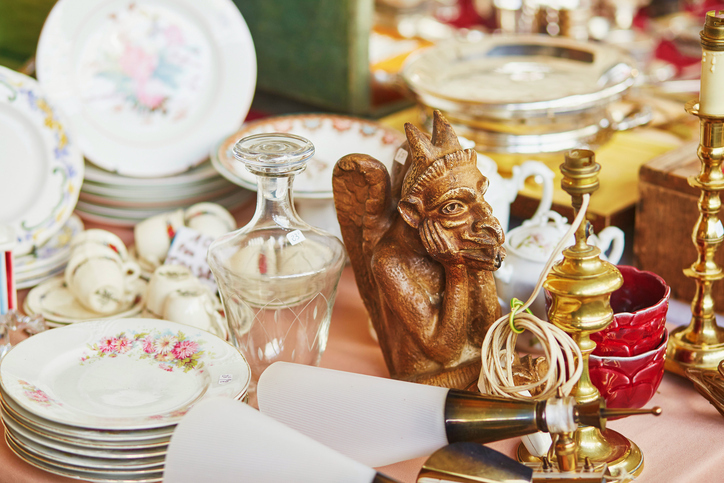 Antique hunting can be fun and can also turn out to be a quite lucrative affair if you happen to pick up the right item. We have all seen lucky people in possession of items that they thought were totally worthless. In some cases, they turn out to be sought after collectables and worth a lot of money. Perhaps that will be you next time?